Ideas have replenished themselves and bugs need to be fixed. Stay tuned for a new release with many improvements and differences. Level 9 Room error with compass opening the shutter if held up is fixed. Quarter Hearts *SHOULD* be fixed. 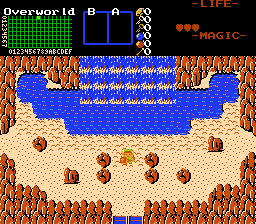 The rest of the North Overworld. Edited by Mr.ReDead, 07 February 2019 - 03:32 AM.